Former Vice President Al Gore on Sunday called President Donald Trump’s decision to exit the Paris climate agreement a “reckless” choice that “undermines America’s standing in the world,” but he said American business leaders and governors will move forward and reduce carbon emissions without Trump. 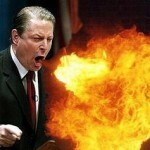 Gore, though, said the decision made little sense, given that the emission targets for each country are voluntary, and that he had thought it was possible that Trump would not go through with pulling out of the pact. 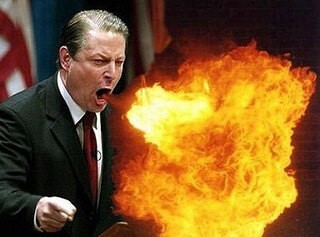 So to decipher Algore Speak, although the Paris targets were all voluntary, and the financial burden fell chiefly on the United States; the former Vice President of the United States stated that it made little sense to withdraw from Paris. We pay, the other signatories only promise, but Algore thinks that is a good deal Well maybe it is a good deal in Paris, but not in Pittsburgh. Moreover, Paris imposed a massive economic burden on the United State but projected to produce no significant environmental results. The projected net reduction in global temperature is less than the United Nations deems worthy of tracking. [*] Given that the Paris Accorded never received congressional approval, and the President lacks any constitutional authority to unilaterally enact binding international law, was the United States ever bound by the terms of Paris?